You have to do the math to see if a 3866 is really any faster, or even slower, than a lower MHz kit with a much tighter timing. You aim for low latency ( CL ), not bandwidth ( MHz ). Higher MHz DRAM is not by default faster, it can very well have a higher latency, in fact, it's likely if you dont buy the most expensive ones with the lowest latency at that speed. Thanks - yeah that it how it has been in the past, been a while for me now so sounds like it is still about the same. I game in VR only and just want to try and get the best ram kit I can for it. as a landmark, my 7700k/16GB/32GB-3600/CL16 rig has 40.8 ns latency on DRAM in Aida64. I have yet to test another rig that gets even close. AMD is not the winner here I admit and my 8700k drops in at 49ms with 3600/CL16. The CPU is one link in that chain, it's not only the DRAM's latency and values, it's the IMC to a BIG part. So are you saying you are happy with the 3600/CL16 ram? I was happy when it was in my 7700k/Z270 system and could run XMP. Now, I am stuck at XMP values with a 3200MHz clock, that's NOT what I like but all I can get out of it with 4 modules. 2 alone work flawless in any combination, just all 4 refuse to accept XMP. There is NO! CL16 kit with 4 modules at 3600 that is certified. I will be going with 2 modules 16GB each. 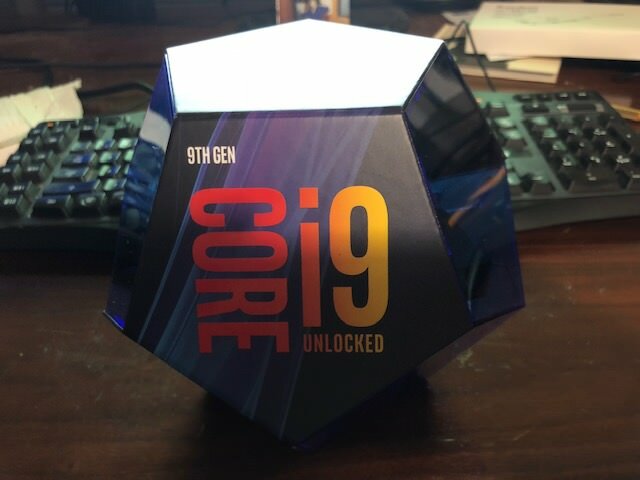 In other news, finally got shipping notification from Amazon on my i9 9900k, scheduled to arrive Friday! The pieces of the puzzle are coming together. All I am waiting for now is that EVA Z390 Dark MB to become available. I only hope your experience with Z390 is better than mine with Z370. I am THAT close from smashing the rig against a wall or permanently run Mint Linux on it. I have reinstalled 10 prior to the new 1809 release, 1709-1803-1809 journey, all drivers, no overclock, clean. 2. USB ding dong dong ding ding ding dong.....F U $$ IT !!!! I am frustrated, 5.2G but that is all it is good for, burn the rest !!!!!!!!!!!!!!!!! no OC, no specialties installed, simple & clean and it goes BSOD. Anyone want my combo ?? So am wondering which might be better for VR gaming. The upcoming WVGA Z390 Dark supports up to 4600 MHz, but at this time will not be going with that due to size of sticks available and limited choices. I can always upgrade the ram a couple years down the road. Will be using two sticks ( 2x16GB). Any thoughts appreciated. Looking at either Corsair or G Skill.